Recently, I was very happy to be awarded an EPSRC fellowship for research into the theory of designing quantum computers that tolerate the noisiness of our world. This means I’m hiring a post doctoral assistant for 3+ years. 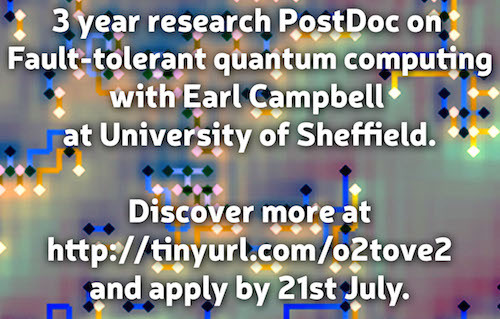 If you have a PhD in quantum computing or information theory and want to work with me, then please apply. Otherwise, please like or share.